Gołąb, S. (1994). 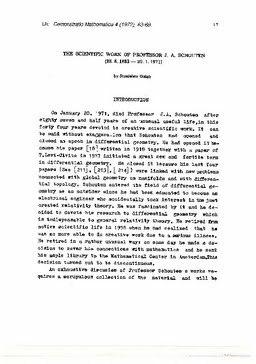 The scientific work of Professor J.A. Schouten (38.8.1883 - 20.1.1971). In B Dijkhuis & H.A Lauwerier (Eds. ), Schouten beschouwd (pp. 17–23). CWI.